On September 12, 1962, John F. Kennedy told the United States "we choose to go to the Moon." What JFK and the American public didn't know yet was that by investing in its space program, it was also choosing memory foam, precision GPS and the cardiac pump, food safety standards, invisible braces and the Dustbuster. NASA has a rich history of spin-off technology; byproducts of its mission to explore the solar system. It's among the space program's most tangible legacies, demonstrating that ambitious ventures can reap diverse rewards to the benefit of all. In the present day and half a world away, Dubai is no stranger to moonshot projects. Many are stipulated by ruler Sheikh Mohammed bin Rashid himself, and space has become just one frontier. The UAE Space Agency was formed as recently as 2014, and Dubai's Mohammed bin Rashid Space Center was established in 2015. 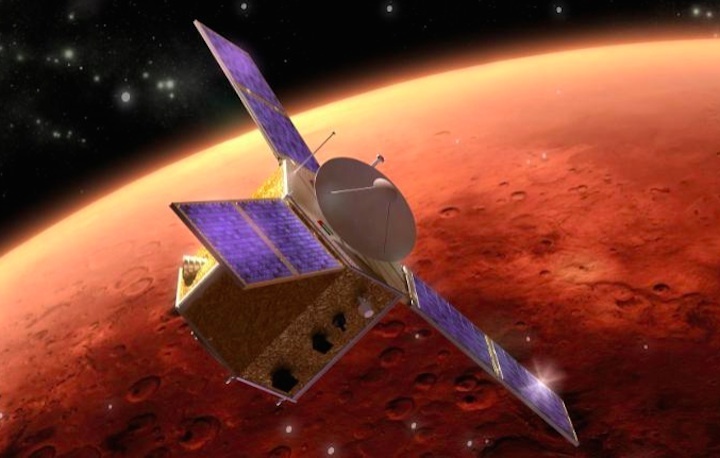 The center has already successfully launched two home-grown satellites, and the Emirates is targeting Mars with plans for a probe in 2020 -- the Arab world's first mission to another planet. More ambitious still, there are plans to develop a human settlement on Mars by 2117. At the World Government Summit in February 2017, the UAE previewed its vision of what that colony might look like. In November, their VR presentation was made available on YouTube. 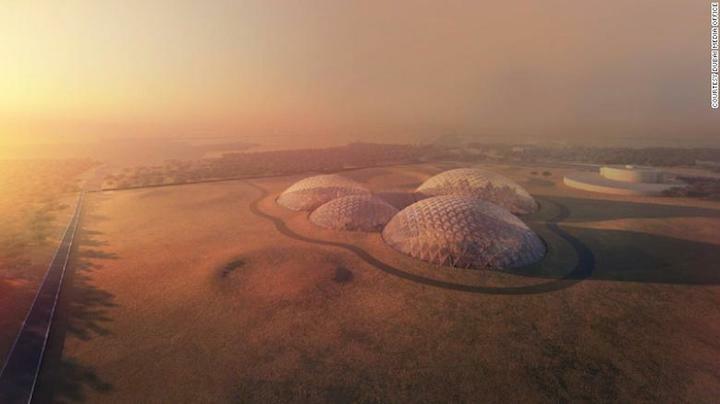 In September, Sheikh Mohammed and Sheikh Mohamed bin Zayed Al Nahyan, Crown Prince of Abu Dhabi, unveiled renders of Mars Science City, a $136 million simulation center planned for the desert outside Dubai. A render of the Bjarke Ingels Group-deisgned Mars Science City, planned for Dubai. Designed by "starchitect" Bjarke Ingels and covering 1.9 million square feet -- the largest project of its kind -- it will include biome laboratories simulating the surface of Mars, agriculture testing areas and a museum. 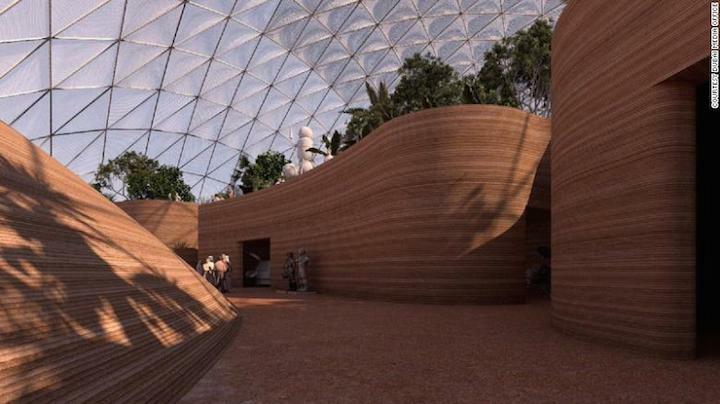 Much of it will be built using 3D printers, including walls made of desert sand. No timeline was given for Mars Science City, but speaking at the launch Sheikh Mohammed told the audience "the UAE seeks to establish international efforts to develop technologies that benefit humankind, and that establish the foundation of a better future for more generations to come." The 1.9m square feet Mars Science City is designed to test future built environments on the surface of Mars. The UAE plans to create a human colony on the planet by 2117. The Emirates' space program is aware it's entering towards the back of the race, and its modus operandi appears to emphasize the benefits of the journey over the final destination. It's all part of a plan to stimulate the nation's science industries and boost its STEM (science, technology, engineering and math) credentials. "Our primary target is having education and outreach," says Sarah Amiri, UAE minister of state for advanced sciences and science lead at the Emirates Mars Mission. "It's about building people, it's not about building buildings... It's creating people that are creative enough to stimulate your economy and to stimulate the growth of your entire nation." In other words, space is a means to an end. Afshin Molavi is a senior fellow in foreign policy at John Hopkins University, and monitors trends shaping the Middle East. "We sometimes think that the only way a space program is successful is when you have men on the moon planting a flag, or in the case of Dubai maybe rockets that land on Mars," he says. "But (a) space program is successful because of what it does on Earth." 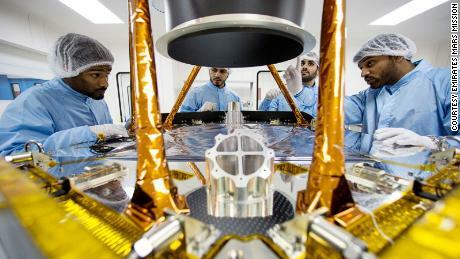 Whether the UAE's investment manifests itself in an off-world colony, a new generation of homegrown scientists, or the next Dustbuster, Emirati lives could be the better for it.